Breakfast New Mexico Style: A Fancy, Funky, and Family Friendly Dining Guide to New Mexico Restaurants is now available! 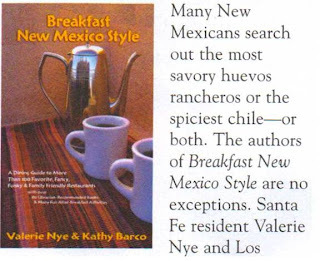 Authors Valerie Nye and Kathy Barco are serving up a second helping of breakfast in a new book that features over 100 restaurants from Carlsbad to Aztec and Tucumcari to Silver City. Kathy and Valerie enlisted the help of a statewide network of 35 librarians to research the best places for you to have the first meal of the day. The book is published by Sunstone Press and is currently available in New Mexico bookstores and through online booksellers everywhere. This adventure was raffled off at the New Mexico Library Association Conference in April, 2010 as part of the New Mexico Library Foundation's "Choose-Your-Own-Adventure" raffle fundraiser. 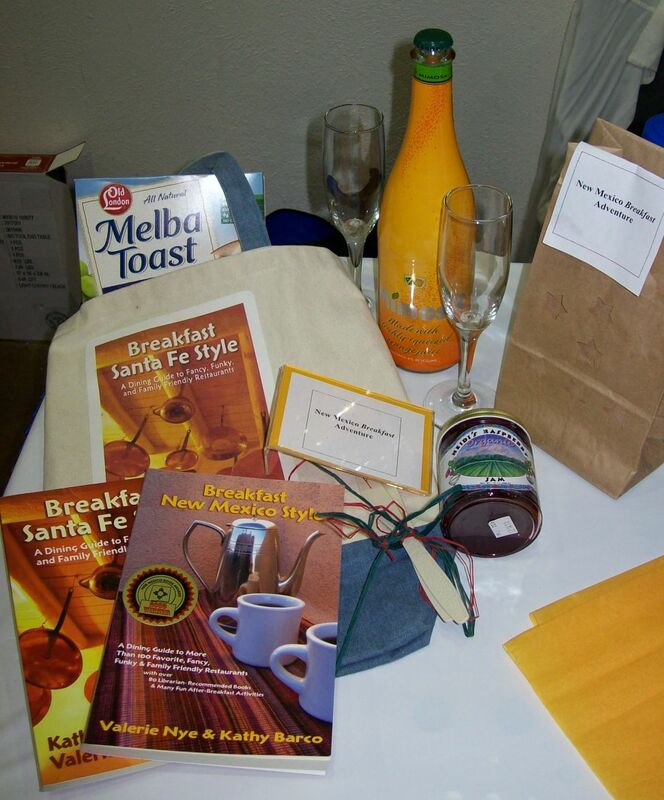 It's a book bag full of "Toast" and Jam including: A Bottle of sparkling Mimosa from New Mexico's own St. Clair Winery plus two Champagne Flutes; Direct from the Raspberry Fields of Corrales, a jar of Heidi's Raspberry Jam (and some Melba Toast to spread it on); and Autographed Copies of Breakfast Santa Fe Style and Breakfast New Mexico Style complete with New Mexico Book Award stickers. 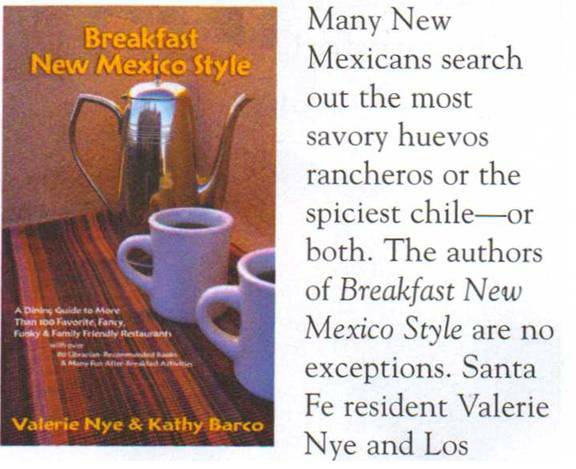 Breakfast New Mexico Style is reviewed in the March 2010 issue of New Mexico Magazine. Look for us on page 61. 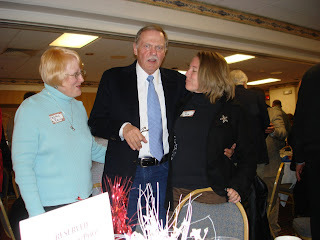 Austin Grad Returns for Book Signing: New Mexico resident Amy Helfritz contributed to "Breakfast New Mexico Style"
Breakfast New Mexico Style is the New Mexico Book Awards 2009 winner in the "Travel Book" category.